Queensland is located in the Northeast of Australia, which is famous for its many snorkeling and diving opportunities, as well as its amazing rainforests. The Gold Coast at Queensland’s southern tip is home to shopping malls, theme parks, clubs, and world-famous surfing spots. Head inland to discover the tranquil, dense rainforests, and beautiful waterfalls. Tamborine Mountain National Park is especially impressive at night, when glowworms illuminate the waterfall. The Wheel of Brisbane is 60 meters tall. 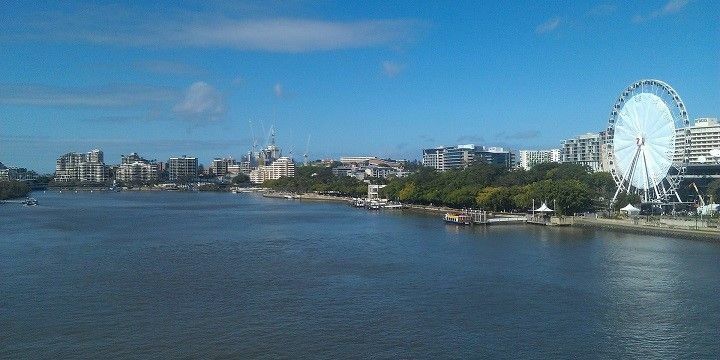 Travel northwards to find the business city of Brisbane, where you can get panoramic views from the Wheel of Brisbane at 60 meters high. The city also features impressive churches and cathedrals like St. Stephens Cathedral and Chapel. Additionally, it’s home to the world’s largest koala sanctuary, and Streets Beach, an artificial beach in the middle of the city. One of Australia’s most famous sights is the Great Barrier Reef, the world’s largest coral reef, and popular snorkeling and diving spot. It’s home to countless species, including colorful corals, turtles, manatee, and sharks. Unfortunately, however, the range of wildlife on offer has seriously decreased over the years, owing to damage from climate change and the abundance of tourists in the area. The Whitsunday Islands are located in the Great Barrier Reef. The Great Barrier Reef also hosts more than 1,000 islands, such as the famous Whitsunday Islands, a popular sailing destination. 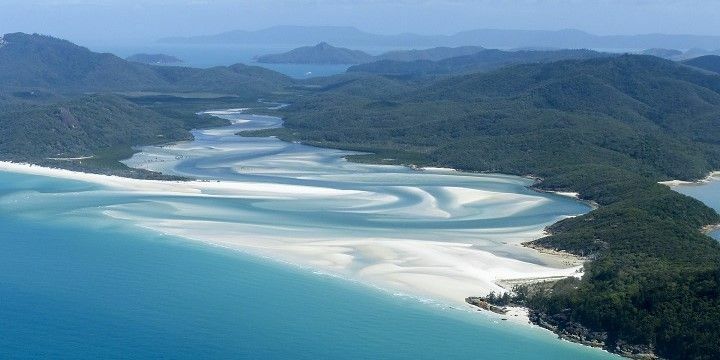 Many of the Whitsunday Islands are uninhabited, which, along with their green pine forests, turquoise waters, and white sandy beaches (such as Whitehaven Beach) makes them a picturesque escape from Queensland’s mainland. Other popular islands include the luxurious Hayman Island, or Hamilton Island, which is home to hotel resorts, restaurants, bars, and even a nightclub. The Sunshine Coast stretches from Caloundra to Cooloola, and is more laid-back than the Gold Coast. At its northern tip, you’ll find the Great-Sandy-National Park, which is divided into three parts. The Cooloola Recreation Area is great for canyoning and hiking, while the Great Sandy Marine Park is known for its rocky shores, mangrove forests, and diverse (marine) wildlife. 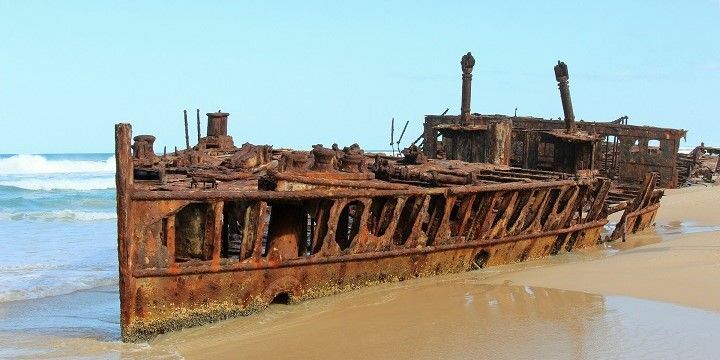 Fraser Island is the world's largest shipwreck and famous for the SS Maheno. The third part is Fraser Island, the world’s largest sand island, and the only sand-based rainforest in the world. The best way to explore the island’s white beaches is with a four-wheel drive, which you can rent yourself or opt for a guided tour. Be sure to stop at the famous shipwreck, and spend some time in the rainforest, which is dotted with small lakes. There are many smaller, but no less beautiful, towns along Queensland’s coast. Bundaberg, for example, is famous for its rum, while the Town of 1770 became Australia’s first western settlement, when it was discovered by Captain Cook in the same year. Airlie Beach, a little further north, is a vibrant nightlife destination, owing to its popularity among backpackers. It’s also a great spot to start a tour to the Whitsunday Islands! Castle Hill offers great views over Townsville. 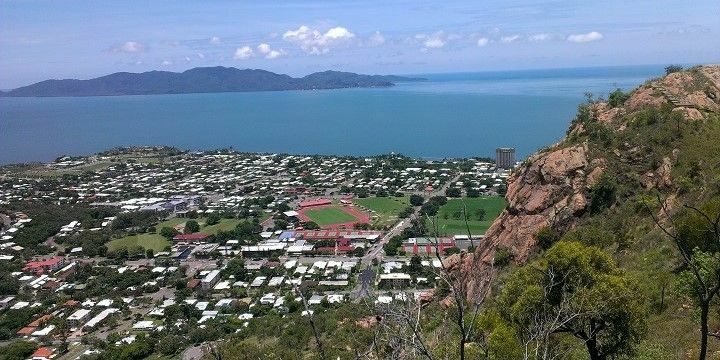 Lastly, Townsville hosts beautiful beaches, unique wildlife, and picturesque walks, such as the one to Castle Hill. Be sure to take the ferry to Magnetic Island to experience another fantastic snorkeling spot! While the city of Cairns doesn’t have a lot to offer, it’s a great starting point for trips around Far North Queensland, which stretches up to Torres Strait. The region is home to the Wet Tropics, the world’s oldest rainforest, dating back 150 million years. It hosts colorful birds, kangaroos, koalas, and saltwater crocodiles! 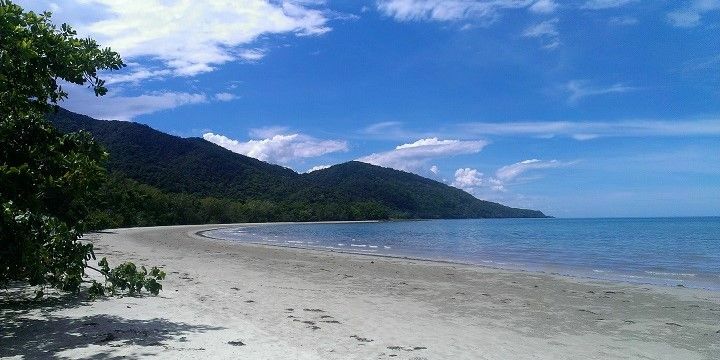 Cape Tribulation features rainforst mountains and long, sandy beaches. Don’t miss out on the Daintree National Park, which is divided into two sections: Mossman Gorge and Cape Tribulation. The latter’s landscape is very diverse, with rainforest mountains, and long, sandy beaches. Alternatively, visit the Tjapukai Aboriginal Cultural Park to learn more about the indigenous culture, from traditional dances, to didgeridoo music. If NextStop24 helped you to choose your next travel destination, we'd be very grateful if you’d search for your accommodation and things to do in Australia through these links. They're affiliate links, which means that we will receive a small commission for every booking made through them. There are no extra costs for you; you'll simply be helping to keep NextStop24 running. Thanks! The Whitsundays are an archipelago reacheable by boat from Airlie Beach. Whitehaven beach is considered one of the most beautiful beaches in the world, and is a 7km beach of pure silica sand and pristine waters. Inlet lookout is a panoramic point where the tide creates a magic effect. The Heart Reef is also reacheable by Airlie Beach and is part of the Great Barrier Reef: snorkeling and diving are highly recommended to enjoy the underwater life. Different cruises and helicopters tours leave daily from Airlie Beach to reach these beautiful places. Totally recommended! Just be careful to avoid the jellyfish season in order to swim safely at Whitehaven beach.